We are critical when violent situations involving police end badly so its appropriate to applaud an opposite outcome, when the public is protected and the threat is taken down without serious injury. Today on Commercial Drive, Vancouver City Police faced an unstable person threatening pedestrians with a large knife. The woman did not respond to voice commands or taser use but was eventually disarmed with less-lethal baton rounds, then taken to hospital. 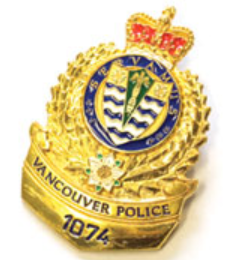 To the brave officers of the VPD: job well done. It's good that you said this, Norm. cops who didn't flinch when the trail led them into the sacred realm of an elected legislature where the people (are supposed to) reign supreme. Someday when the full story is revealed of (a) Mr Big who kept phoning his cousin in the Ministry of Finance, and why he was sentenced to 9 years for serious drugs trafficking, with no reports in the news media, and (b) what it was — so early in the game of “negotiating” the giveaway of BC Rail — that actually rang the alarm bells about BC Rail. The police tried not once, not twice, but three times before they got a judge's signature on the Search Warrants, for heaven sake. I hope I live to see the day when the whole truth is revealed of how such a priceless public asset as BC Rail slid in semi-secrecy into private CN pockets. It was a cop — not a premier or prime minister — who tried to explain this, at a press conference held on Dec. 29, 2003, the day after the Legislature Raids. A good cop, I think. Then the media turned on him like a pack of hounds … and after that, they turned on the Victoria Police Chief, Paul Battershill. I hope I live to dance the happy dance when we can thank the good cops for helping to clean up British Columbia. Again, Norm, thanks for saying this about the good cops on Commercial Drive on October 22, 2011. I really appreciate the patience bit. Too often it seems that we make decisions in haste when we would do better to stand back and work through events or let events work through themselves. This goes particularly for the police: why could the RCMP and Vancouver Airport not have gotten some coffee and sandwiches and, perhaps, a translator as a different view of swinging into action? Ditto for the young guy in Houston who ended up with a bullet in the back of his head, and various other cases. I guess it speaks to our relative levels of knowledge and wisdom. Thanks, and thanks to Mary for her comment.